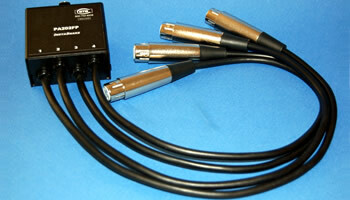 Analog Audio adapters, Digital Audio Baluns and Splitters, and specialty Audio products. 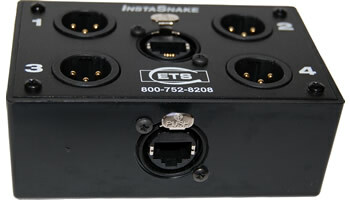 The ETS InstaSnake™ Series (PA200) is a compact, lightweight, versatile passive group of components allowing you to run audio signals over a single run of Cat 5, 5e, 6 or 6a data cables. With a roll of cable, these compact units are easily transported and/or stored solving dozens of live and/or recording sound problems. The InstaSnake™ is a passive unit, so you do not need power. The InstaSnake™ accepts "mic" level or line level analog or digital audio and supports phantom power when using shielded Cat 5 or 6 cables. The basic units are a pair of passive units with bi-directional capability which can be input directly into analog or digital consoles. 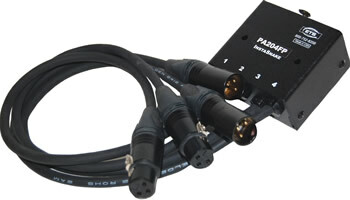 can be input directly into analog or digital consoles. has been tested to 850 feet over shielded cables. 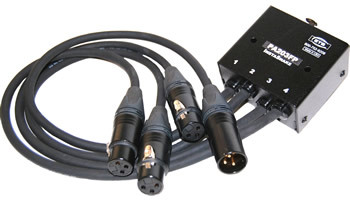 The ETS InstaSnake™ Series (PA205F or M) is a compact, lightweight, versatile passive component allowing you to run audio signals over a single run of Cat 5, 5e, 6 or 6a UTP cables. With a roll of cable, these compact units are easily transported and/or stored solving dozens of live and/or recording sound problems. The InstaSnake is a passive unit, so you do not need power. 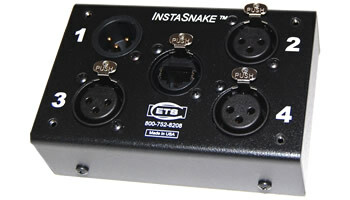 The InstaSnake accepts "mic" level or line level analog or digital audio. The basic units are a pair of passive units with bi-directional capability which can be input directly into analog or digital consoles. Designed to the highest professional standards the InstaSnake has a wide, flat frequency response, low THD and residual noise. The InstaSnake has been factory tested to 1900 feet using balanced line low impedance dynamic microphones and up to 850 ft. with phantom power over Cat5. Both send and receive units can be mounted on the wall or on the floor. 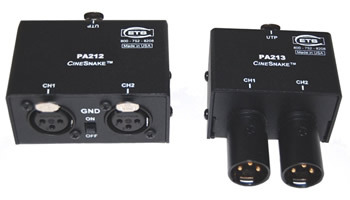 The ETS CINESNAKE™ Series PA210 is a compact, lightweight, versatile passive group of components allowing you to run audio signals over a single run of CAT5 or better cables. With a roll of wire, these compact units are easily transported and/or stored solving dozens of live and/or recording sound problems. The CINESNAKE™ is a passive unit, so you do not need power. The CINESNAKE™ accepts "mic" level, line level, analog or digital audio and supports phantom power when the slide switch is "ON" position. 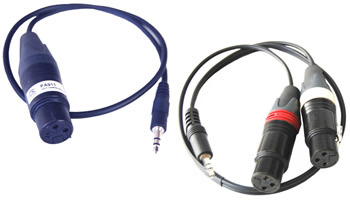 One cable carries both audio signals simplifying the user or installer's job. Ordinary UTP cabling may be used, however distance and quality are enhanced with cat5 or better cable. 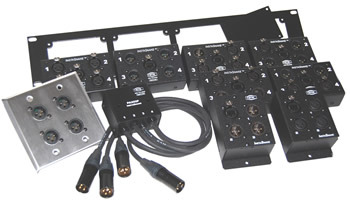 The Cat5 Audio Broadcast System from ETS, the PA700 UTP Analog Audio Distribution Hub (pictured above) has two channels of line-level audio transmitted through the distribution amplifier, creating 8 output sets (stereo audio) from a single source. The powered PA700 can be cascaded twice (three tiers), yielding a total distribution of 512 receivers from a single input source. 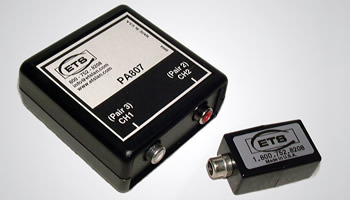 Audio signals are converted to and from UTP using the standard ETS PA807 Analog Audio Balun. The PA700 System supports stereo audio over a total run length exceeding 100 meters (inclusive of all cable segments) on Category 5 or better cable. The ETS PA800 Series of Analog Audio Adapters is ideal for use in applications requiring audio signals to be sent over distances greater than 4 meters. Signals may be sent in either direction. By balancing and isolating signals, the audio signals can be safely sent over 100 meters. The PA807 Stereo Audio Adapter and the PA808 Dual Stereo Audio Adapter is housed in a standard middle-size case. 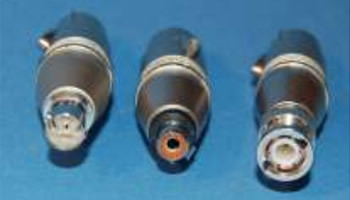 The PA807 or PA808 gives the capability of sending 2 or 4 audio signals down a single run of UTP (utilizing 2 or 4 pairs), without using a "hydra" assembly. Additionally, the PA808 enables bi-directional stereo audio to pass over a single UTP run. 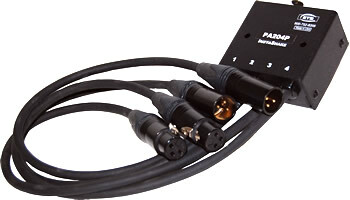 The PA807PT Analog Audio Adapter is a 2 channel adapter with a pass through that allows the installer to connect the unused pairs for data or other connections as needed. 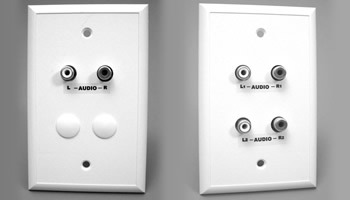 The ETS PA800WP Series of Analog Audio Adapters has been designed with a new flat circuit board and decorator wall plate, yielding neat, highly professional installations by complementing existing wall plates. For ease of use, all ports are pre-labeled. The PA807WP and PA808WP are ideal for use in applications requiring audio signals to be sent over distances greater than 4 meters. Signals may be sent in either direction. By balancing and isolating, the audio signal can be safely sent over 100 meters. 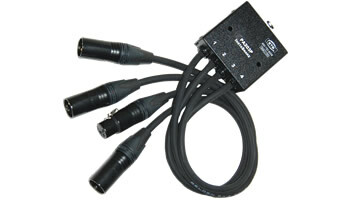 The PA807WP or PA808WP enable sending 2 or 4 audio signals down a single run of UTP (utilizing 2 or 4 pairs), without having to use a "hydra" assembly. Additionally, the PA808WP enables sending bi-directional stereo audio over a single UTP run. Ground loops occur when multiple audio elements are connected to different outlets. Hum and "noise" in the audio signal are usually the result of ground loops in the system. The ETS PA809 solves this common audio problem of extraneous noise. Installing the PA809 Analog Audio Isolator between the source and the receiver eliminates hum, vastly improving the listening experience. The PA809 is conveniently equipped with RCA "pin-plug"-style female jacks at both input and output sides. Installing the PA809 is a ten-second operation: simply plug it in. No battery and no further maintenance are ever needed. ETS, long a leader in baluns for computer networks, applies our expertise in Balanced Line™ technology to the XLR to BNC Digital Audio Baluns (DAB) and DAB Panels. 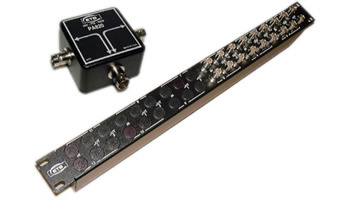 The PA810 Series of baluns and balun panels from ETS is designed to connect AES/EBU signals from XLR output equipment into standard 75ohm coax cabling systems. 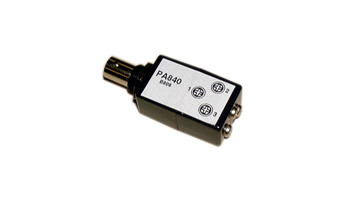 These baluns perform precise impedance- matching and signal balancing, enabling AES/EBU signals to be transmitted with greater signal integrity and longer runs over coaxial cable than can be achieved with STP wiring. 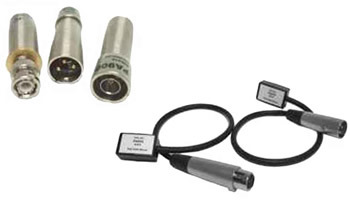 Isolated versions are available for VDA and router applications. Other members of this family are the PA818-X Digital Audio Panels which incorporates all of the functionality of ETS baluns in a convenient, 8-channel, single-rack height unit. Isolated outputs and monitor ports for each channel are standard. The PA819 "Re-Balancer" balances signals into a true balanced-line performance. 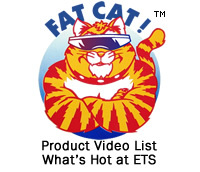 ETS, long a leader in baluns for computer networks, applies our expertise in Balanced Line technology to the Analog/Digital Audio Rebalancer™ (PA819). If you have trouble with hum, buzz or a higher than normal noise floor, this could be due to twisted pairs which are unbalanced or even "slightly" unbalanced. Plug in a Rebalancer (PA819) and many of these problems disappear. A badly balanced input signal emerges from the other side as a dramatically improved balanced signal, improved common mode rejection, lower noise and lower EMI/RFI. Many classic old devices (limiters, compressors etc.) have poorly balanced inputs or outputs. A Rebalancer solves most noise problems. The Rebalancer passes digital audio signals. Although digital devices are much less prone to noise problems, usually not heard, it messes up the clock recovery and conversion of the digital signal back to analog. The Rebalancer (PA819) balances signals into a true balanced-line performance. It provides a flat response and will pass phantom power. The ETS PA820 RG59 Splitter and the PA778x Series of AES/EBU Splitter Panels are carefully designed to divide the energy from a single source into equal parts, maintaining precise impedance-matching. Return signals are routed back to the source with minimal crosstalk to the other port. These devices are expressly crafted for AES/EBU standard for digital audio. They minimize losses while preserving signal integrity. As an added benefit, ETS precision impedance-matching technology enables units to be non-symmetrically applied when being cascaded. Note that each cascade stage reduces the signal level by 3dB. The ETS PA830 Series are the Balanced Line™ Digital Audio Splitters and Digital Audio Splitter Panels. These products are expressly designed for the digital audio market. Used only for balanced 110ohm signals, these units accommodate signal levels to 10V. Since proper impedance is maintained, the splitters do not have to be symmetrically applied. Due to careful specification and minimal signal modification, units may be cascaded, thereby reducing transmitted signal power by 3dB at each stage. 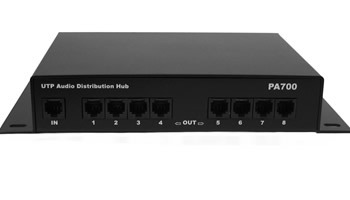 Also available is the PA835 panel-mounted splitter in a 4-channel version. 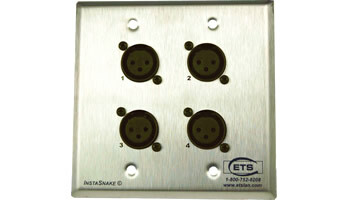 ETS Isolated Digital Audio Baluns offer screw terminal connections. From Southeast Asia to Madison Square Garden, these AES/EBU-compliant products are hard at work converting digital audio signals from Shielded Twisted Pair (STP) cable to coax. Used for temporary setups, as well as permanently, in locations where coax is already present, and economical than pulling fresh STP - the PA840 and PA841 baluns deliver proven solutions. These baluns perform precise impedance-matching and signal-balancing, enabling AES/EBU signals to be sent with greater signal integrity and longer runs over coaxial cable than can be achieved with STP wiring. The signal isolation enables VDA and router applications. The ETS Digital Audio Adapter (PA850 Series) is impedance- matched, balanced, and isolated to provide excellent performance sending AES/EBU signals over Category 5 or better Unshielded Twisted Pair (UTP) wiring. Experiments with High Performance Category5 cable have shown that Digital Audio signal performance over UTP is equal to that of 110-ohm Shielded Twisted Pair wire, even at the highest bit rates. 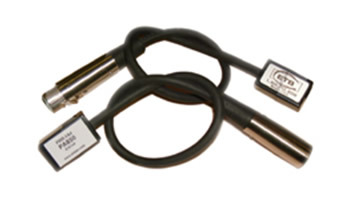 The ETS exclusive balun design balances and isolates the signal, eliminating unwanted jitter. The careful impedance-matching prevents reflections that can degrade signal reception and decoding. 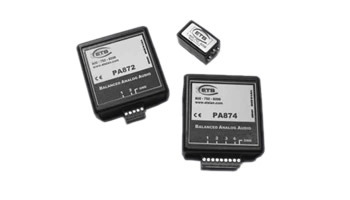 The ETS PA870 Series of Balanced Analog Audio Adapters is ideal for use in applications requiring audio signals to be sent over distances greater than 4 meters. Signals may be sent in either direction. By balancing the audio signal as well as isolating it, signals can be easily sent over 100 meters distance. 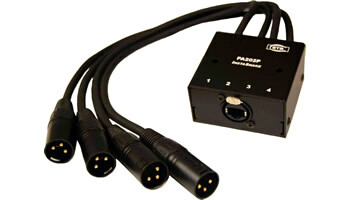 The PA872 Stereo Balanced Audio Adapter and the PA874 Dual Balanced Stereo Audio Adapter enable sending 2 or 4 audio signals down a single run of UTP (utilizing 2 or 4 pairs) without having to use a "hydra" assembly. 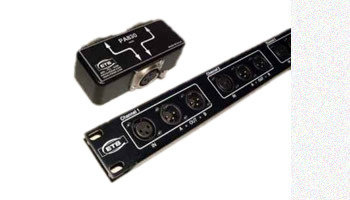 Additionally, the PA874 allows sending bi-directional stereo audio over a single UTP run. The ETS S/PDIF-compliant products convert digital audio signals from Unshielded Twisted Pair (UTP) cable to coax. Used for temporary setups, as well as in permanent locations where coax is already in place, it's less costly than pulling fresh UTP. 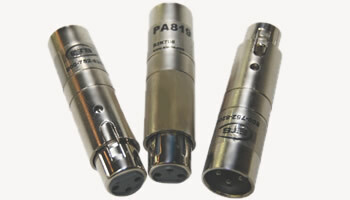 The PA881 and PA884 baluns provide viable and dependable solutions. These baluns perform precise impedance- matching and signal balancing, enabling S/PDIP signals to be transmitted with greater signal integrity and longer runs over coaxial cable than can be achieved with UTP wiring. Note: Consumers with digital equipment in the home such as CD players, DVD players, receivers, etc. with digital inputs/outputs should use PA881. PA884 is designed for professional applications. 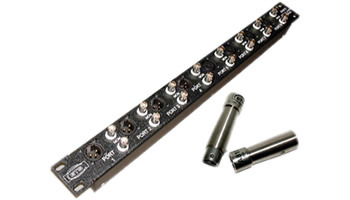 ETS, long a leader in baluns for computer networks, applies that expertise in Balanced Line™ technology to the XLR to BNC Digital Audio Baluns (DAB) and DAB Panels. 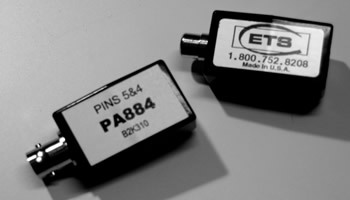 The PA882, PA883 and PA886 baluns from ETS are designed to connect SPDIF signals from XLR output equipment into standard 75Ohm coax cabling systems. These baluns perform precise impedance-matching and signal balancing; allowing SPDIF signals to be transmitted with greater signal integrity and longer runs over coaxial cable than can be achieved with STP wiring. ETS, long a leader in baluns for computer networks, applies that expertise in Balanced Line™ technology to the XLR to UTP Digital Audio Baluns (DAB) and DAB Panels. 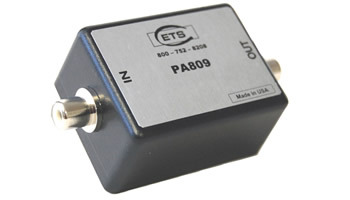 The PA900 series of baluns from ETS is designed to connect Time Code signals from XLR output equipment to standard 75Ohm coax or 100Ohm UTP cabling systems. The baluns perform precise impedance-matching and signal balancing, enabling Time Code signals to be transmitted with greater signal integrity and longer runs over coaxial or UTP cable than can be achieved with conventional STP wiring. Long a leader in computer network baluns, ETS now applies that expertise in Balanced Line™ technology to the new DSLR Audio Camera Balun™ linking a female XLR connector to a 3.5mm mini-plug for input to the camera's audio port. The PA910 Series of DSLR Audio Camera Baluns™ from ETS is designed to connect the DSLR camera's internal audio to professional-grade microphones or other signal sources. The compact, passive device preserves balanced lines, enabling full noise reduction for runs up to 2000 feet of microphone cable! The PA910 Series of DSLR Audio Camera Baluns™ are not designed with phantom power, but easily work with condenser microphones equipped with separate power supplies (or batteries). 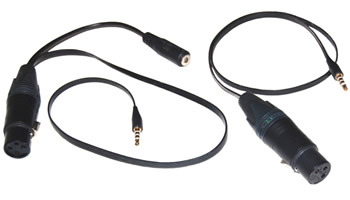 ETS applies its Balanced Line technology to the iProAudio™ Balun mating a professional-grade XLR-style connector with a 3.5mm TRRS plug that plugs into the smartphone's or iPad's audio input jack, allowing software on the smartphone to record professional quality audio. The iProAudio Baluns are compatible with phones using the CTIA/AHJ* standard wiring. By plugging the iProAudio Balun (PA921 or PA922) into the digital audio "record" function of the smartphone, one can use a high-end professional XLR-style microphone for recording. The PA921 with an 18-inch flat pigtail is for recording only. To listen to the playback, remove the PA921. 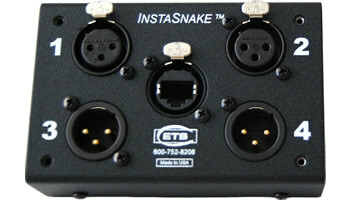 The ETS InstaSnake Audio Balun™ is ideal for use with existing InstaSnake Adapter™ boxes. 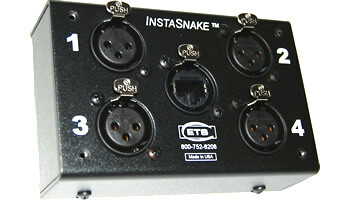 InstaSnake Baluns allow consumer and commercial users of audio equipment to connect to an InstaSnake Adapter box. By plugging InstaSnake Baluns into InstaSnake Adapter boxes, the user can send unbalanced line level analog audio signals. 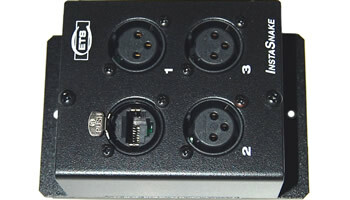 Two InstaSnake Adapter boxes and two InstaSnake Baluns are needed to transmit audio signals. One channel is used for each balun on each InstaSnake box. The same channel must be used on each InstaSnake Adapter box. InstaSnake Baluns are handy for those who have InstaSnake Adapter boxes. All that is needed is to plug InstaSnake Baluns into InstaSnake Adapter boxes wherever a change of a signal application is needed. Changes are very simple and quick. No power is needed as the units are passive. 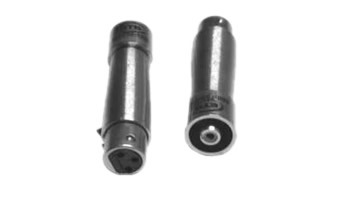 Many balun configurations are available to meet your connectivity requirements: Male or Female BNCs, RCA jacks to Male or Female XLRs.